This prestigious educational establishment wanted to provide some shade for spectators supporting their sports teams. 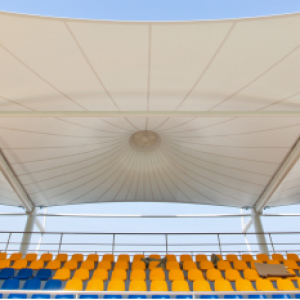 We designed, fabricated and built the steel structure and tensile system for the grandstand. 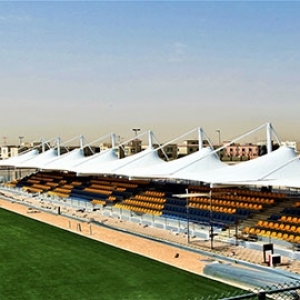 The commission included the cantilever design for the grandstand roofing system, steel support beams with paint system to prevent corrosion and all accessories for the shade including the steel cables, connecting rods and turnbuckles.